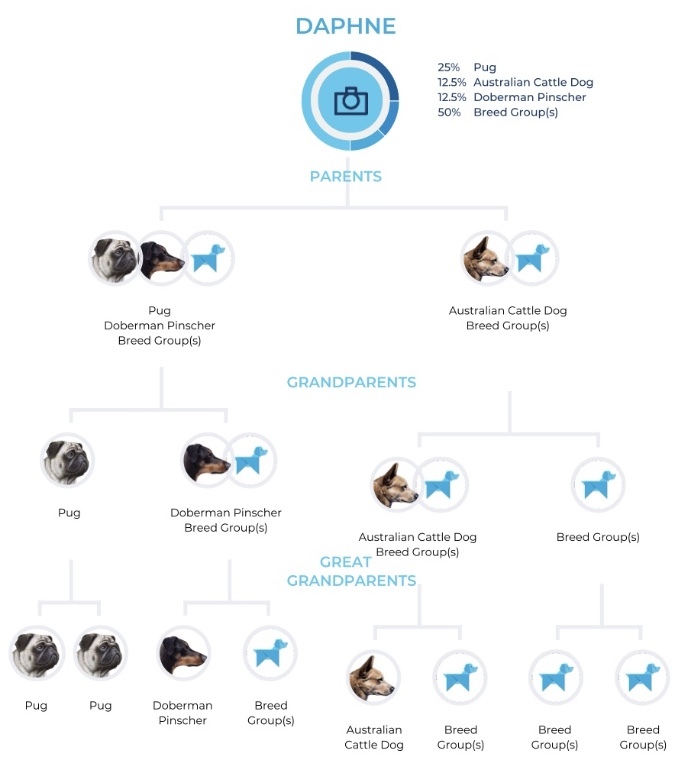 Daphne the DNA tested Pug / Australian Cattle Dog / Doberman Pinscher, terrier, companion, herding dog mix. 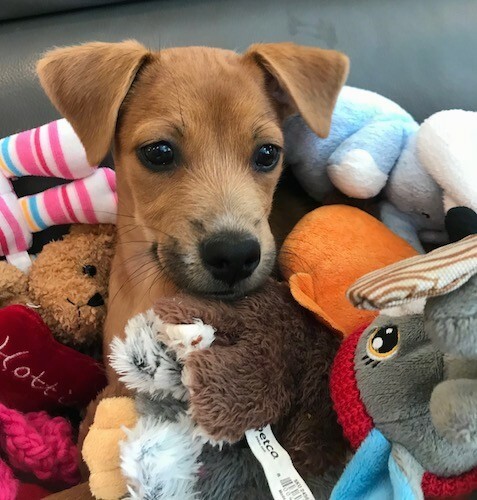 The detailed results of her DNA test are posted below. 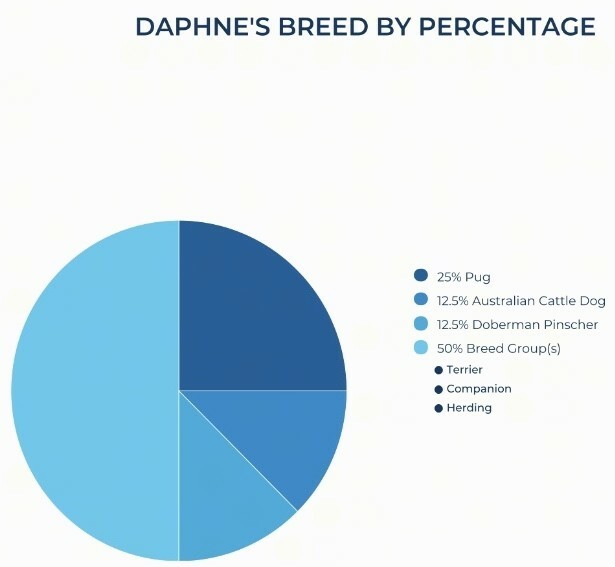 Pictured are Daphne's DNA test results. 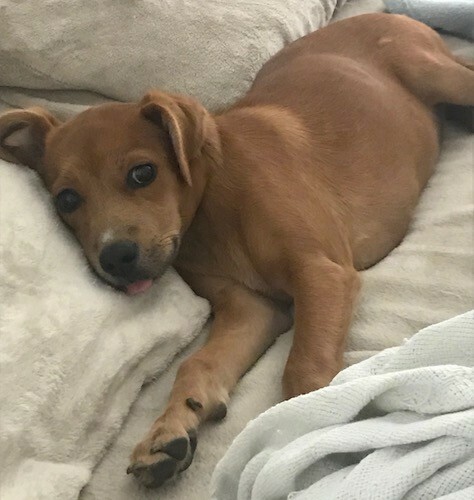 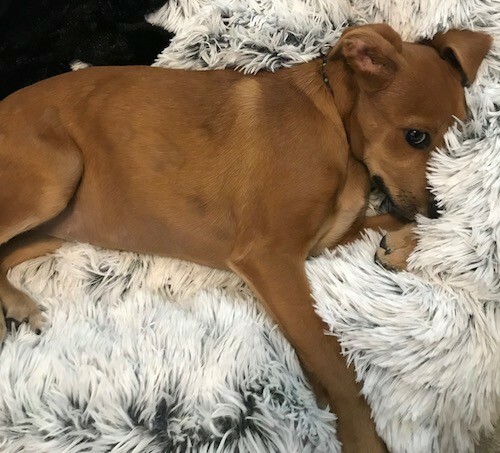 It came back that she is 25% Pug, 12.5% Australian Cattle Dog, 12.5% Doberman Pinscher and 50% a mix of various terrier, companion and herding dogs. 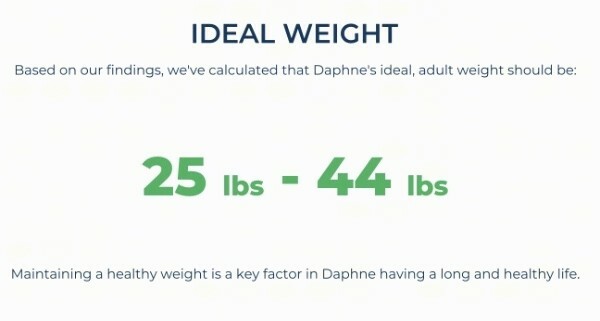 The DNA test results predicts that Daphne's ideal weight should be anywhere from 25-44 pounds (11-20 kg) when full grown.